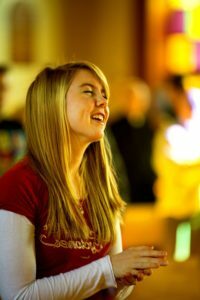 Devotional life is an important part of the campus life at Concordia, St. Paul. We have chapel opportunities taking place Monday through Friday. Chapel is a time for the community to gather around Scripture, song, prayer, and devotional thoughts from various members of our campus community or invited guests. 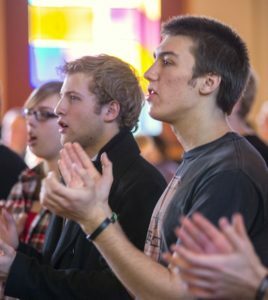 Chapel at CSP includes a variety of styles and practices that are observed throughout the Lutheran Church Missouri Synod. Various choirs and ensembles offer music throughout the year in chapel, as well as theatre and dance contributions. Holy Communion is celebrated in chapel on festival occasions. Students, faculty, staff, and guests are welcome to attend chapel services. Chapel times include a variety of forms, orders, and leaders. It is our goal that the beautiful diversity of our campus community and its gifts can be represented in chapel. To reach that goal of variety and involvement, our weekly order will not always be the same, but generally, some common themes can be expected. No matter the form or the leader, though, we will always gather around the Gospel of Christ as found in the Holy Scriptures.